Use CloudApp with Zoho CRM to close more deals. 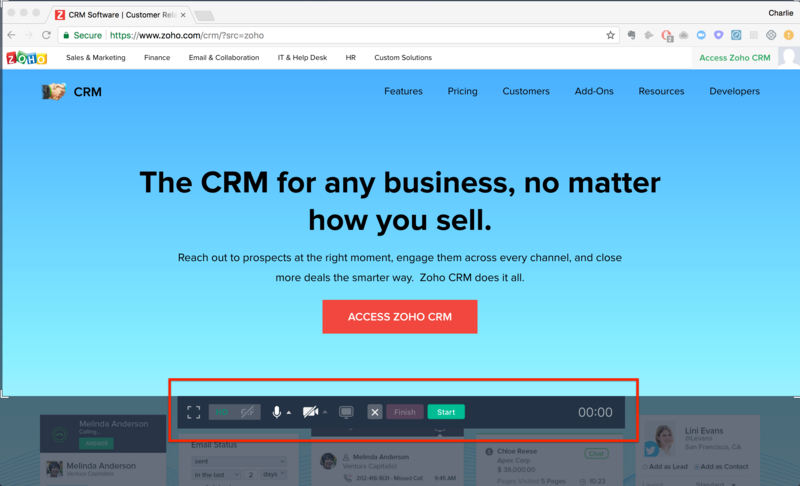 Add video, GIFs, and screenshot annotations directly in Zoho CRM with the CloudApp Integration. CloudApp lets you create a visual of anything on your desktop. Capture and annotate a screenshot, record a video, or create a GIF. Share your CloudApp content in any deal, note, or email. 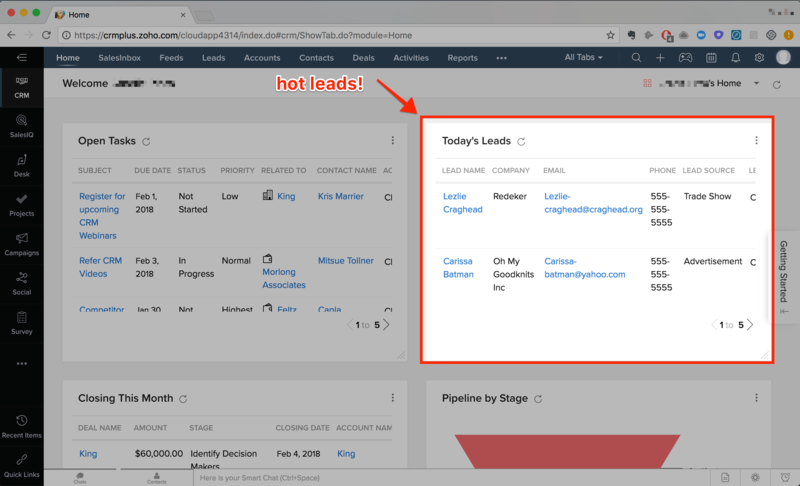 Deliver delight by removing the back and forth, and quickly get to the point all right within Zoho CRM. Communicate 300% faster by highlighting a section on a page to instantly call out a suggestion or feedback.